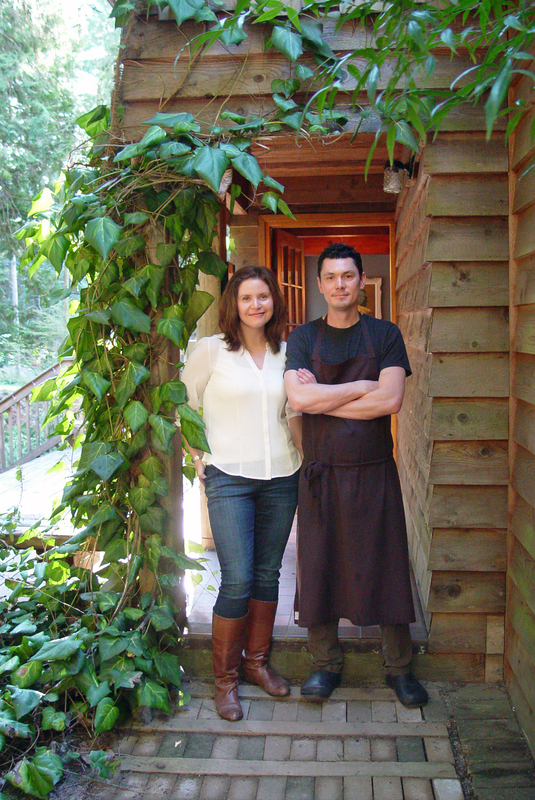 After sitting down with Jesse McCleery and Leanne Lalonde at Pilgrimme restaurant, which they opened on Galiano Island in October 2014, it becomes clear that they have found their happy place. He gushes about the local potatoes, kale, nettles, herring, turnips (“You could eat them like apples”) and tomatoes, as well as his kind neighbours, who sometimes drop by with overflowing boxes of produce because they simply grew more than they could ever use. 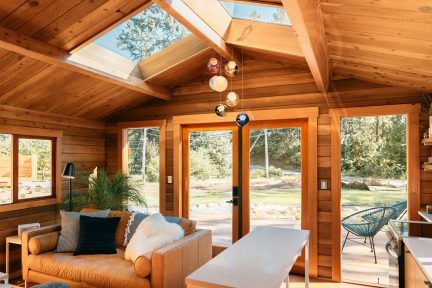 “Everyone on Galiano loves growing and just spreads the wealth,” he says. “It’s great for us.” And great for us, too. The couple purchased the eatery in 2013 from a woman who had run it as a French restaurant for about 30 years. “She still lives just up the hill,” says McCleery. “She comes down all the time and gives us herbs.” After a thorough renovation and redecoration, Pilgrimme opened to near-instant acclaim. The locals loved it, and word quickly spread, earning it a spot on enRoute magazine’s coveted best new restaurants in Canada list for 2015. 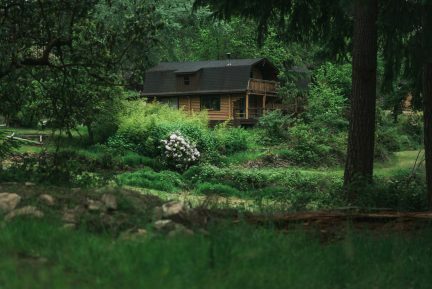 McCleery, from Winnipeg, met Lalonde while the two were working at the King Pacific Lodge, a floating hotel near the Great Bear Rainforest in Northern British Columbia. 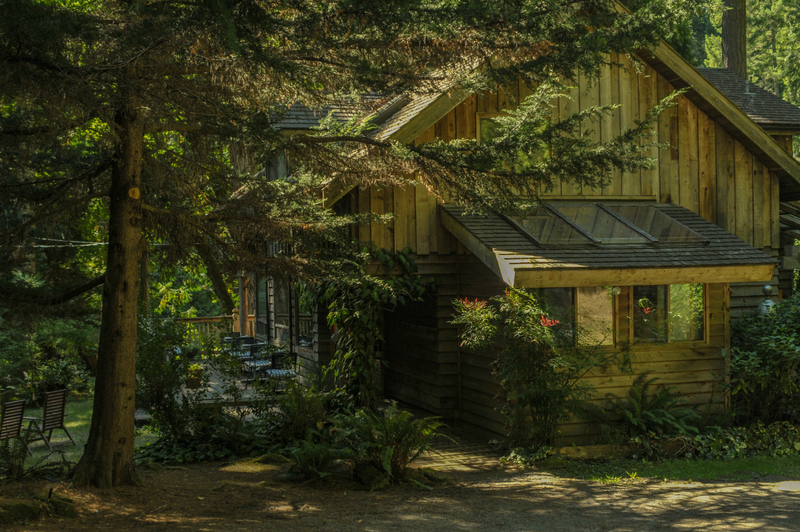 This is also where McCleery developed his food philosophy, which includes a devotion to locally-sourced ingredients and a commitment to waste as little as possible. “We would do trades with the First Nations community,” he recalls. Fish and seaweed were swapped for chocolate and Panko breadcrumbs. 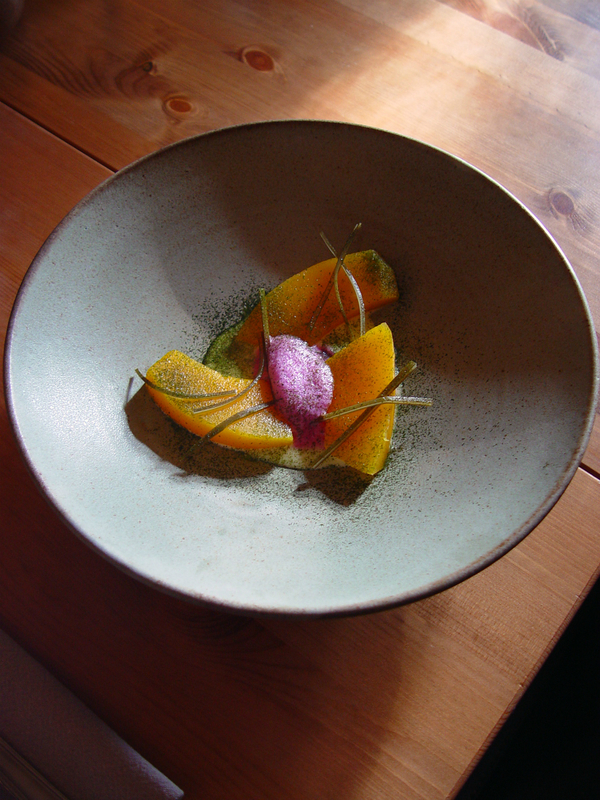 In early 2013, McCleery was preparing for a six-month internship at the world-renowned Noma in Copenhagen to take place that autumn, and was looking for a short-term summer gig. 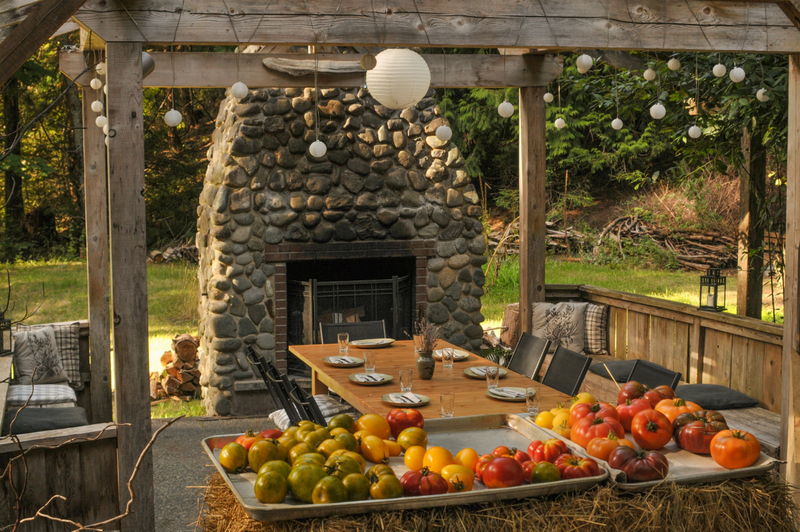 In Vancouver, he met Jesse Keefer, owner of Galiano’s Bodega Ridge resort, who hired him to cook for events and weddings. 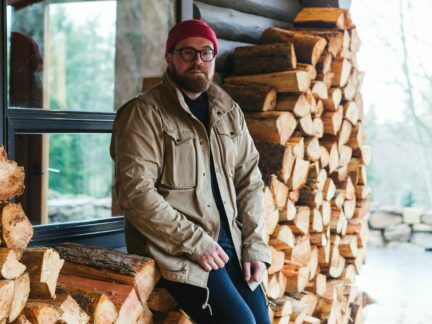 McCleery and Lalonde felt at home on Galiano, and after a few lessons from Nordic cuisine legend René Redzepi, McCleery returned to the island to open Pilgrimme. The restaurant is about a 10-minute drive from the Sturdies Bay ferry terminal in a heavily forested setting. The walls of the small eatery are decorated with pieces of driftwood, a large saw, and other tributes to the island’s identity. The menu changes based on what is available, but Galiano Potatoes is perhaps McCleery’s signature dish. The spuds are slow cooked in smoky whey buttermilk, seasoned with bull kelp powder, plated with pickled bull kelp, and have a rich umami, almost meaty flavour. Other tasting menu mainstays include beef heart tartare with sea lettuce, and pickled herring with Galiano apple vinegar, charred radicchio, and mustard greens. The highlight one night in March was octopus served with chickpeas, chorizo, potatoes, and purple potato chips, followed closely by Swiss chard with duck skin crumble. McCleery also prepares smoked and baked rutabagas with parsley farro, pork skin, and jalapeno ranch, and they may well be the most well prepared rutabagas ever tasted. 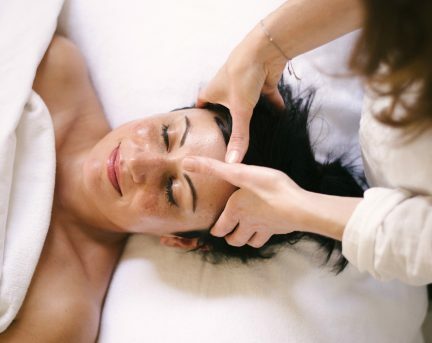 Pilgrimme is a spiritual experience as much as a culinary one.